Signs of aging can appear as early as our 20s with fine lines around the mouth and nose, dark spots, dark circles under your eyes and even drooping upper eyelids. These signs tend to become more evident during our 30s and 40s. Of course, aging is a very natural process; it can however, speed up a little due to environmental and lifestyle factors like pollution, stress etc. While aging is not something you can prevent, you can still make it a very graceful process and delay it to quite an extent. 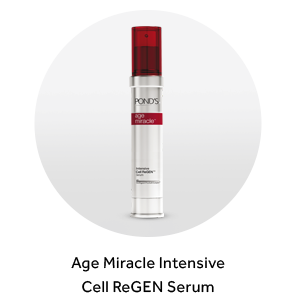 Choosing the best face cream for your skin is therefore extremely critical. 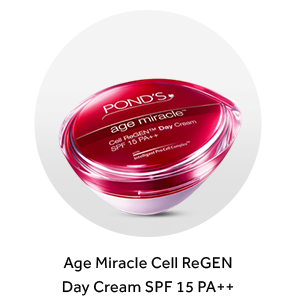 With Ponds Age Miracle, an anti-aging cream, the solution is simple a face cream designed for all skin types that are clinically proven to reduce fine lines, wrinkles and age spots. Explore the entire range of Night Cream available on Nykaa. 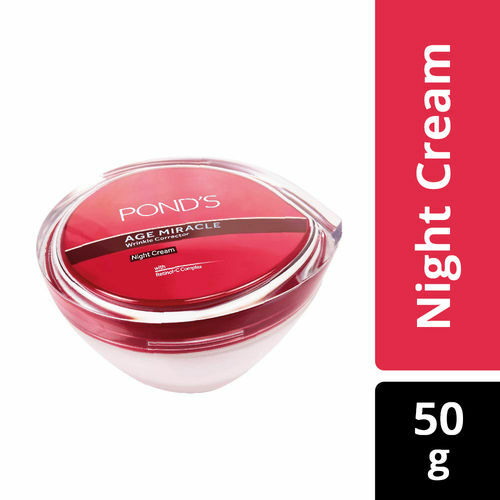 Shop more Ponds products here.You can browse through the complete world of Ponds Night Cream .